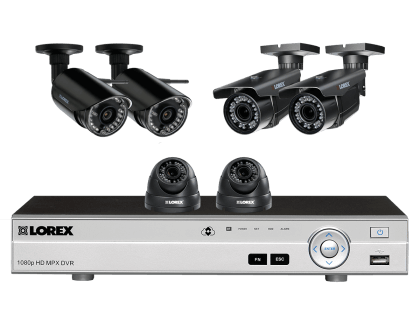 Detailed list of Lorex security cameras and security camera systems for your business. Includes features, pricing, customer reviews, and FAQs. 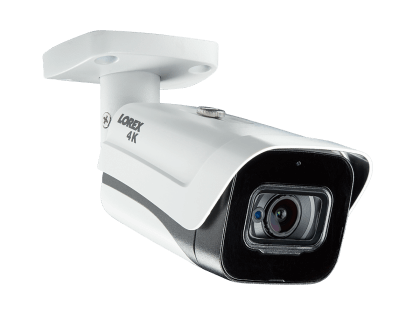 Lorex Technology offers a wide range of indoor and outdoor security cameras for your business. The Lorex camera systems feature high-definition cameras with night vision, wide-angle viewing, and two-way audio capabilities. The entire range is weatherproof and certain models are also vandal proof. What is the price range of Lorex security cameras? Lorex security cameras range from $99.99 to $599.99, depending on the number of cameras you need. How good is the picture quality of Lorex home security camera systems? Lorex cameras are comprised of 720P, 1080P, 2K, and 4K ultra-high definition cameras, providing remarkable detail and clarity for better surveillance. Lorex High Definition Security Camera with Night Vision (LBV1511W). Lorex HD 720p Wireless Security Camera (LW3211). Lorex 1080p HD Analog Camera With Night Vision (LBV2531W). Lorex Wide-Angle HD 1080p Security Camera (LBV2561UW). Lorex Listen-in Audio Camera and HD 1080p (LEV2750AB). Lorex Vandal Resistant 1080p High Definition Security Camera (LBV2723B). Lorex HD Security Camera with Motorized Varifocal Lens (LEV2724B). Lorex Listen-in-Audio Camera and HD 1080p (LND4751AB). Lorex HD 1080p PTZ Camera with Color Night Vision (LNZ32P4BW). 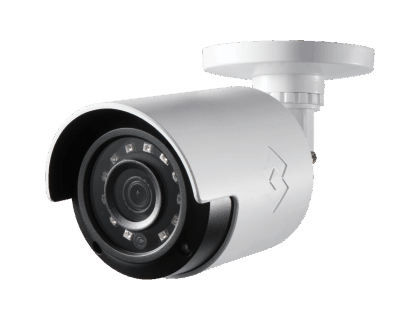 Lorex 1080p Weatherproof MPX PTZ Camera (LZV2925B). Lorex 2K HD IP Security Camera with Motorized Varifocal Lens (LNB3373SB). Lorex 2K Nocturnal IP Audio Dome Security Camera (LND4750ABW). Lorex 3-Megapixel Motorized Varifocal Dome IP Camera (LND3374SB). Lorex 4 Megapixel HD IP Security Camera with Color Night Vision (LNE4422W). Lorex Weatherproof HD Motorized Varifocal Dome IP Security Camera (LNZ44P4BW). Lorex 4K (8MP) Outdoor Metal Security Camera with Audio (LBV8721AB). Lorex 4K Ultra HD 8MP Nocturnal IP Camera (LNB8921BW). Lorex 4K Ultra HD 8MP Nocturnal IP Camera with Audio (LNB9232S). Lorex 4K Ultra HD 8MP IP Nocturnal Camera (LNB8973BW). Lorex Nocturnal 4K 8MP IP Dome Security Camera with Zoom Lens (LNE8974BW). Lorex Nocturnal 4K Ultra HD Audio Dome Security Camera (LNE8950ABW). Lorex 4K UltraHD 8MP IP Nocturnal Camera (LNB9272). Do Lorex wireless security cameras have good night vision? Many Lorex security cameras feature discreet infrared light (IR) LEDs that allow you to see at night from 20-250 ft. away. Select Lorex cameras feature Color Night Vision technology, which adds an additional level of detail and contrast. I have a DVR / NVR; do I need a monitor to be able to watch my Lorex security camera footage? This depends on the type of monitor or TV screen being used. You can connect to your DVR / NVR system using an HDMI, VGA, DVI, or RCA cable. How can I check my playback on Lorex wireless home security cameras? To view video footage from your Lorex wireless home security cameras, download and install the Lorex Ping App, which can be used to manually record and view playback on any device. In what type of weather conditions can Lorex security camera systems operate? The majority of Lorex security cameras are IP-66 or IP-67 weatherproof rated. This ensures year-round security coverage in all lighting and weather conditions. Lorex 4-Megapixel HD IP Security Camera with Color Night Vision (LNB4321B). Where can I find the most recent firmware for Lorex security cameras? You can find all Lorex DVR and NVR firmware here. 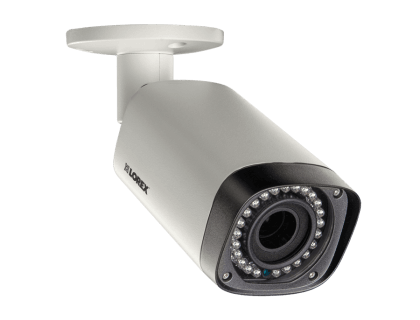 What features do Lorex outdoor security cameras have? Lorex outdoor security cameras are equipped with long-range night vision, wide-angle viewing, high-resolution video, optical zoom, and 24-hour monitoring among other features. Where can I find Lorex security cameras for sale? 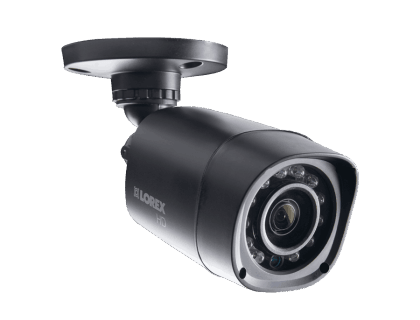 You can find all Lorex home and commercial security cameras for sale online by clicking on the links in the table above. Lorex Home Security System with 4 Wired and 2 Wireless Cameras (LW8222VDW). Lorex Wireless System with 2 Rechargeable Wire Free Cameras (LWF2080B-62). How can I get in touch with Lorex security camera customer service? Contact Lorex security camera support by logging into your Lorex account and leaving a message online at www.lorextechnology.com/profile/login. If you want to know how to install Lorex security cameras, visit their support page by clicking "Support" at the top of the homepage. Do Lorex security camera systems come with a warranty? Yes. All Lorex security cameras are subject to a standard warranty period of one year from the date of purchase. For extended warranty periods, refer to their website. I'm not big on the Lorex systems (or any rebranded system to be honest) , as it's to complicated for me to know which Dahua cams they rebranded and firmware gutted as their own with most of their systems. sometimes they can be good value for the money but unless you have a fair amount of experience it's hard to evaluate. I bought a Lorex 8 channel NVR a few years back.I will tell you that I moved away from using the Lorex NVR, but I did keep the cameras. The motion detection on the Lorex system drove me insane because it was marginally tuneable, and once tuned still didn't do what I wanted.The cameras aren't bad. It's easy to get a pretty decent sensor in a relatively cheap camera nowdays. The lowlight isn't amazing on them, but I'm pleased enough with the cameras.